I got work as soon as I subscribed & continue to receive work from lots of agencies. I'm very busy so SFS is perfect; it allows me to access all agency details saving me valuable time & money. I love the fact that ... read more. Until now, my main career has been that of a professional Dancer and during the last eleven years, my career has taken me around the world. I have worked with and experienced many different cultures, beliefs, and languages. My work has been diverse and each contract a new challenge. I think of myself as an outgoing and bubbly “people” person, a naturally quick learner who loves to learn new skills and thrives when working under pressure. I am discpilined and adaptable, a comitted and supportive team member, with the initiative and competentcy to work alone. I am caring and open minded, with a good sense of humour, but a bit of a perfectionist who is determined to succed. View my contact details, availability, and stats. MAGICIAN’S ASSISTANT/ ILLUSIONIST, PROFESSIONAL DANCE PARTNER IN BASIC BALLROOM AND LATIN AMERICAN DANCE, SINGING IN ENSEMBLE, ROLE-PLAY, WORKSHOP SKILLS, DEVISING, KICK BOXING, FENCING, STAGE FIGHTING. 2012	. SUBLIME PROMOTIONS. HOTEL TRANSYLVANIA. ‘MAVIS’ SKIN	CHARACTER. VUE CINEMA LEICESTER SQUARE AND WESTFIELD SHOPPING CENTRE. 2006-2008. MASH MARKETING LONDON. FRAGRENCE PROMTIONS AND COUNTER COVER. BRANDS INCLUDING:CACHAREL, ARMARNI, MAKE UP FOREVER AND NIVEA FOR MEN. 2006. 2004. 2003 &2002. FIELDOFRCE. FRAGRENCE PROMOTIONS AND COUNTER COVER.CACHAREL. BROWNS OF CHESTER 2004	. BROWNS OF CHESTER. FRAGRANCE PROMOTIONS AND COUNTER ASSISTANT. BOOTS SEDLEY PLACE, BOOTS WEST HAMPSTEAD. BOOTS CHESTER, BROWN OF CHESTER. *DO NOT KNOW HOW LONG THESE LAST? 2004. GAVIN MEDFORD FASHION SHOW. CATWALK MODEL. LONDON ALSO SOME HAIR (STYLING) DEMONSTRATION MODELLING IN THE NETHERLANDS. TRAINED ACTRESS AND QUALIFIED ACTING TEACHER. 2009	. ECR RESEARCH THE NETHERLANDS. DATA RESEARCH DATA ENTRY AND ADMINISTRATION. 1998-2001.MIDLANDS ACADEMY OF DANCE AND DRAMA. PERFORMING ARTS DIPLOMA, ALSO A WIDE RANGE OF OTHER PERFORMANCE AND TEACHING QUALIFICATIONS. 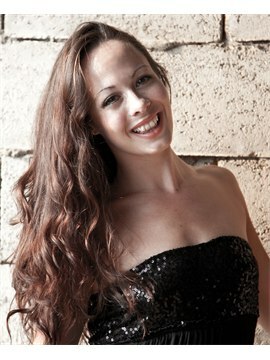 11 YEARS PROFESSIONAL EXPERIENCE WORLDWIDE, PERFORMING IN, MUSICAL THEATRE, OPERA, CASINOS, DINNERSHOWS AND CRUISE SHIPS. 1998-2001. MIDLANDS ACADEMY OF DANCE AND DRAMA. PERFORMING ARTS DILOMA. 1996-1998. CHESHIRE SCHOOL OF PERFORMING ARTS. BTEC DIPLOMA IN PERFORMING ARTS. A LEVEL DANCE 1991-1996. SUTTON HIGH SCHOOL. 10 GCSE'S C AND ABOVE.